Cinepoetry analyzes how French poets have remapped poetry through the lens of cinema for more than a century. In showing how poets have drawn on mass culture, technology, and material images to incorporate the idea, technique, and experience of cinema into writing, Wall-Romana documents the long history of cross-media concepts and practices often thought to emerge with the digital. 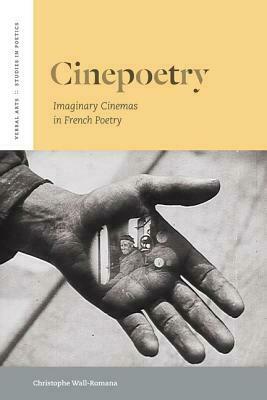 In showing the cinematic consciousness of Mallarme and Breton and calling for a reappraisal of the influential poetry theory of the early filmmaker Jean Epstein, Cinepoetry reevaluates the bases of literary modernism. The book also explores the crucial link between trauma and trans-medium experiments in the wake of two world wars and highlights the marginal identity of cinepoets who were often Jewish, gay, foreign-born, or on the margins. What results is a broad rethinking of the relationship between film and literature. The episteme of cinema, the book demonstates, reached the very core of its supposedly highbrow rival, while at the same time modern poetry cultivated the technocultural savvy that is found today in slams, e-poetry, and poetic-digital hybrids.